A training camp will give you loads of things you can work on over the course of a season. You may not experience a big improvement straight away, but if you keep working on what you’ve learnt, you will definitely improve over time. Above all, a training camp is pretty good fun. Montenegro is nice country and very popular tourist destination. You will have opportunity to enjoy nice beaches and areas, to visit Boka Kotorska bay, and to have a great time. 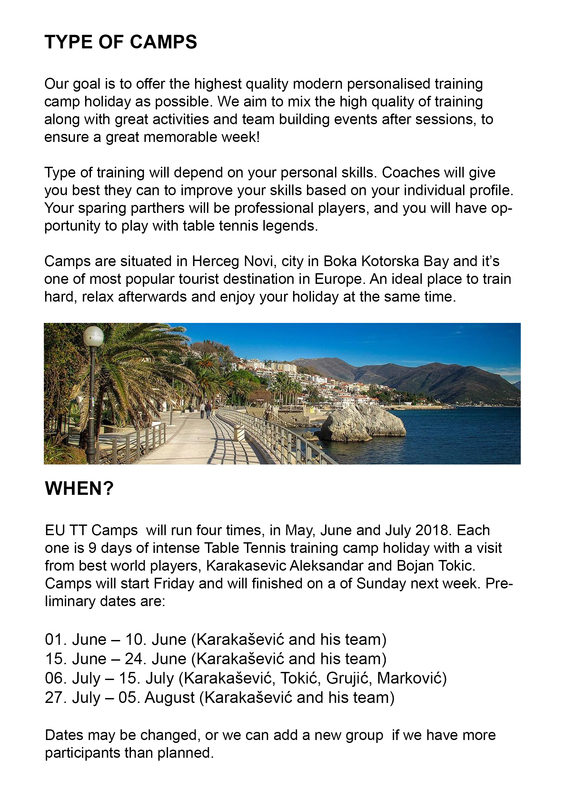 Camps are organized by local table tennis club NOVI, and group of world class payers, leaded with our Chief of Staff Aleksandar Karakasevic, together with Bojan Tokic, Slobodan Grujic and Rade Markovic. A great way to improve your table tennis skills is to attend a table tennis training camp. Training camps are held in a most beautiful part of Montenegro, in city of Herceg Novi, and typically last 9 days. 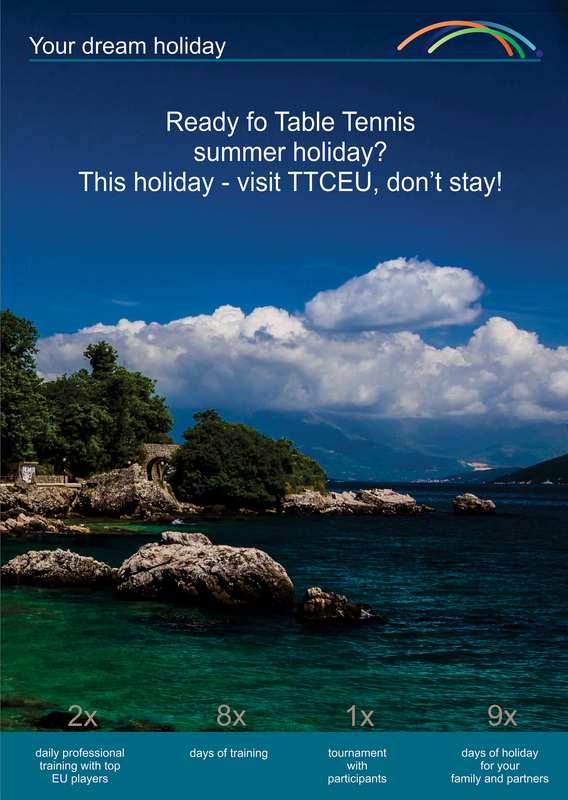 During this time, you will play a lot of table tennis and will enjoy in one of the nicest European tourist destination. There’s usually a lot of group training drills, focusing on technique, movement, service, receive and match-play. Depending on your playing level, you will be given to your coach who will work with you individually. Some training sessions will include 1 to 1 coaching, so you can really work on your own specific needs. Perfect for players of all standards and ages who want to improve all aspects of their game, under the supervision of quality coaches and help from professional sparring partners. You also get access to multiple coaches, most who will have coached or played at a very high level.